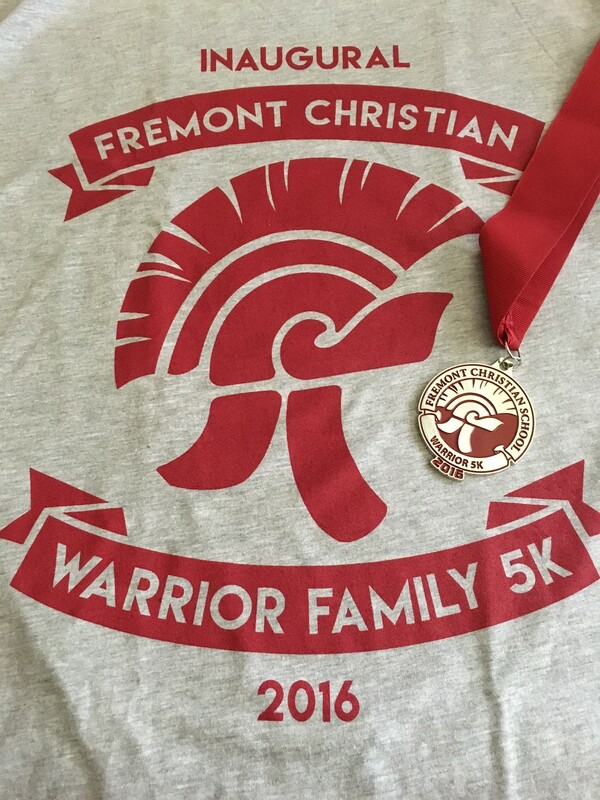 Fremont Christian School invites you to participate in our third annual Warrior Family 5k, taking place at Quarry Lakes on Saturday October 20th, 2018. 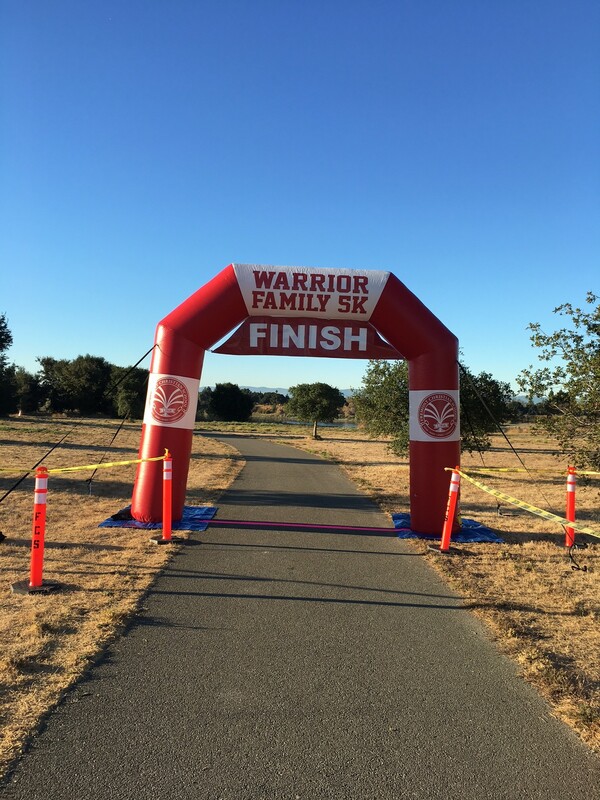 Come run or walk 3.1 of fun and show off your Warrior spirit! All participants will receive a commemorative t-shirt and a customized finisher’s medal. Water stations, music, refreshments at the finish line, and encouragement will all be provided. Kids and walkers are welcome to register. You don’t have to be a member of the FCS community to come out on a beautiful Saturday morning to join us in promoting a healthy lifestyle. All proceeds support student programs at Fremont Christian School. Visit www.fremontchristian.com. Parking will be $5 at the gate. Please do NOT park on Isherwood Way. After 9/21/2018 prices go up and t-shirt sizes will NOT be guaranteed! All participants will recieve a t-shirt and medal!